A game that puts the fate of the world in your hand of cards, Reigns: Her Majesty ($2.99) , will be getting a content expansion update sometime this week. The news was announced via the series’ Twitter account. 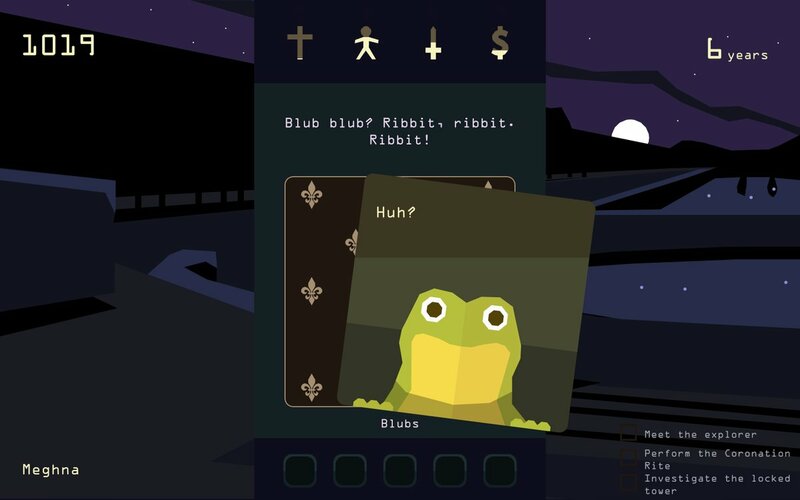 Originally released in December 2017, Reigns: Her Majesty is the sequel to Reigns ($2.99); both received much critical success, including TouchArcade’s own high praises. Reigns and Reigns: Her Majesty are comprised of decks of cards, with new ones being added as you play through. While in Reigns you become king, Reigns: Her Majesty puts the player in the role of the queen. You’re not alone either way, as your trusty advisers will give you advice. Whether or not you trust it is up to you, but they certainly are not always right. You may lead your military to victory, or cause it to fall into a trap. You may provide your constituents with a bounty of fresh produce, or you may cause them to starve. But every time you fail to the point of death, you are reborn as the next king with a fresh slate for running the kingdom. The sequel uses the same card-based system and some similar plot lines, but includes characters and stories that you won’t find in the original. If you’re struggling to find all the endings, we have a walkthrough that can help. The developers over at Nerial have been busy since the release of Reigns: Her Majesty. This new content update will breath some new life into the game for those faithful players who found every ending. Although little is known, there will definitely be new cards to support the new content – and maybe some new characters will be added to the mix? Writer Leigh Alexander joined the team for Reigns: Her Majesty so she was likely involved with this update as well. The update to Reigns: Her Majesty will roll out across all systems, including Android and iOS, later this week And it’s completely free! The Switch version of Reigns is also expectedlater this summer.